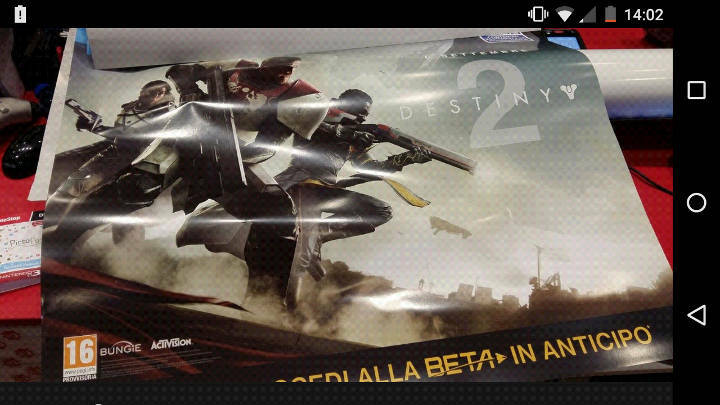 It looks like we have our first major leak for Destiny 2 and it comes in the form of a promotional poster, presumably from Gamestop in Italy. The poster looks entirely genuine and comes just as one would expect a major reveal from Bungie in the coming weeks of April. The image above is the official image, taken with what one can presume was a mobile phone camera or similar handheld device inside the Gamestop store. 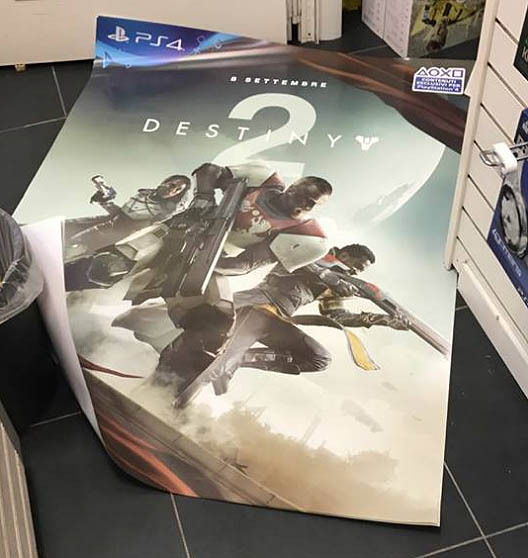 As always with leaks, the full poster has been cutoff, hiding the name of Destiny 2 but at least we got a glimpse of the release date and artwork for the Guardians. There's alot of information coming out at the moment and we already have editors from sources such as Eurogamer confirming the leak. The original article from the Italien website has since been taken down, which we can take as another step of a genuine leak. Rough translation of the Italian reads "Beta in Advanced" - presumably meaning that the Beta is confirmed for pre-orders of the game. September 8th release date confirmed - in the top right hand corner the poster says 8th September which interestingly is a Friday. Typically game releases are Tuesdays and Bungie have always had game updates and weekly refreshes on the same day. It is only Xur who chose to arrive on Fridays. 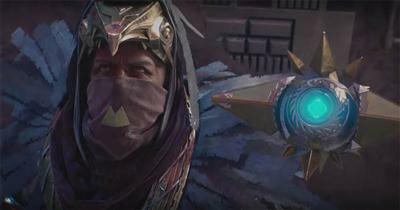 Railgun Omolon weapon? - the Guardian in the middle appears to be holding an unfamiliar auto rifle.. Besides the great insight into the Guardian's armour and weapons, one of the most important aspects from the leak is the word "Beta" , which even in Italian still means Beta! Bungie did a similar thing with Destiny 1 back in the summer before it released, with an open Beta period for players to enjoy the Cosmodrome and accelerate the hype machine for what would become one of the best loved MMO's of all time. Within hours of the D2 leak unravelling (midday UK time), Kokatu spoke out and also confirmed that the Destiny 2 Beta is set for June 2017.